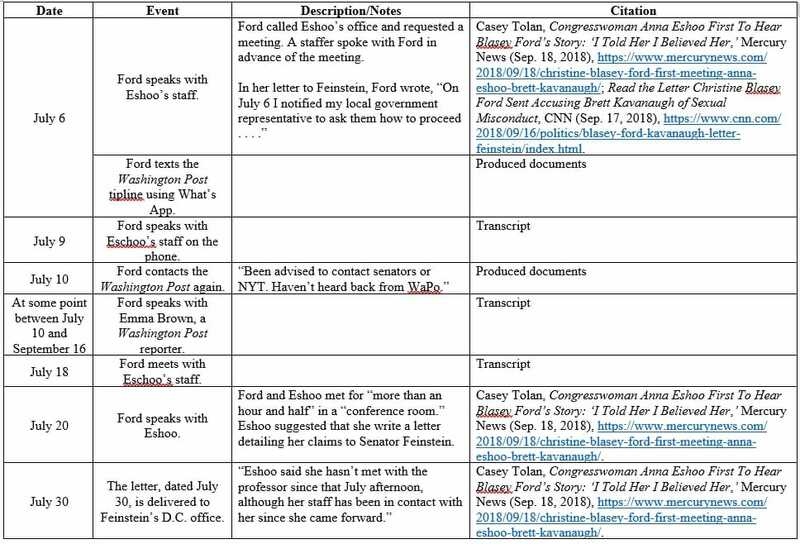 Christine Ford testified before the Senate Judiciary Committee that she reported her alleged assault by Brett Kavanaugh to the Washington Post tip line on July 6, 2018, the same day she also reported it to Democrat Congresswoman Anna Eshoo. 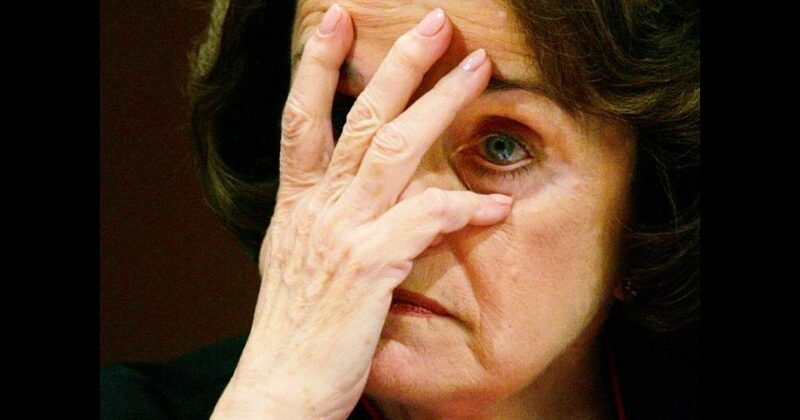 On July 7, 2018, Ford’s criminal record was scrubbed from the database, quickly expunged obviously, which gives her entire case the appearance of being engineered by the Democrats long before her letter to Dianne Feinstein, dated July 30, 2018. 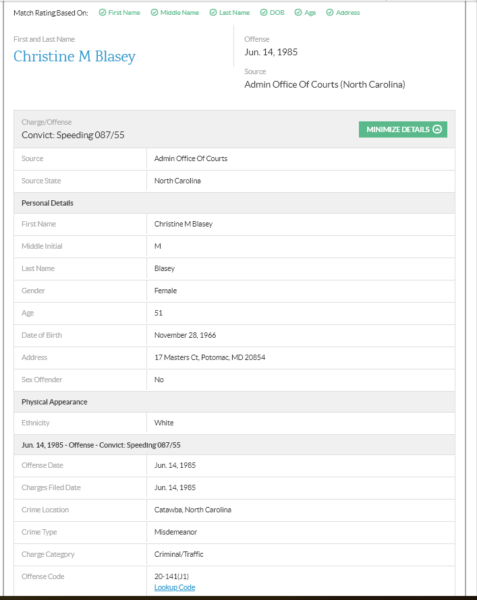 No regular citizen could pull off a criminal record expungement in 24 hours. However, powerful Washington politicians with partisans in every state could likely accomplish that. 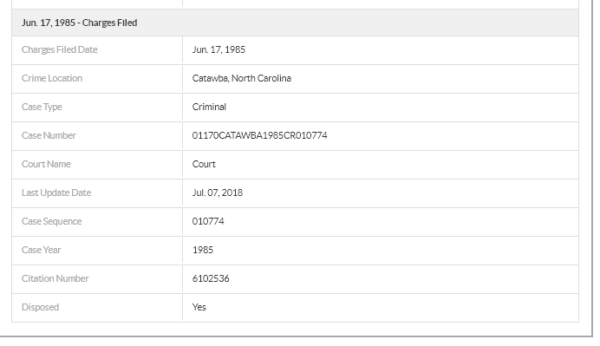 Following are three documents that are apparently a record of the expungement of Ford’s criminal record in North Carolina, where she was charged with speeding (32 miles over the posted speed limit – Wow!). 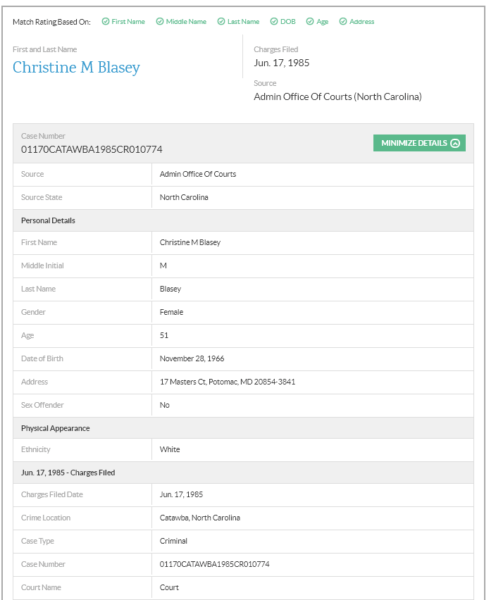 As can be seen from these docs, her age is listed as 51, which is her age now and was her age on July 7, 2018, the date of the apparent scrub (second document). It is unlikely that anyone will take the time to investigate this further, to trace the source of the expungement request. However, we know how slimy Washington Democrats are. They are clearly capable of this, and my guess is their fingerprints are all over it.